Sorry, pets are only permitted on one trail at the Sanctuary, Crowpoint. 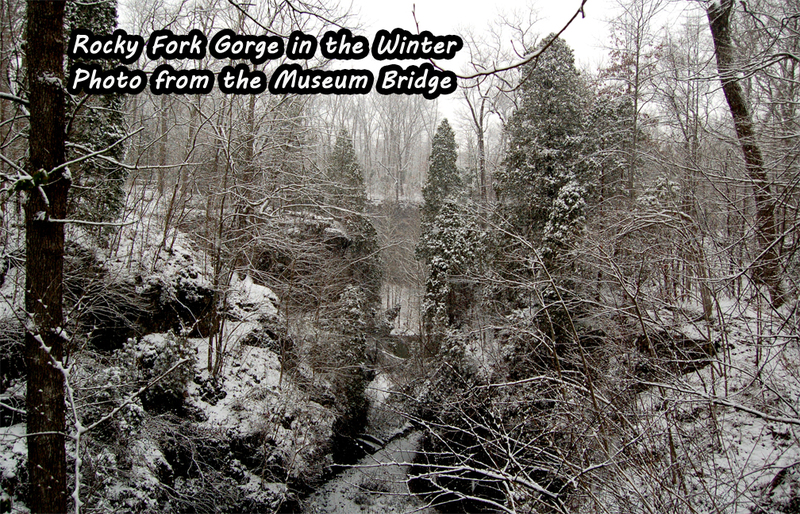 The Incomparable Rocky Fork Gorge. 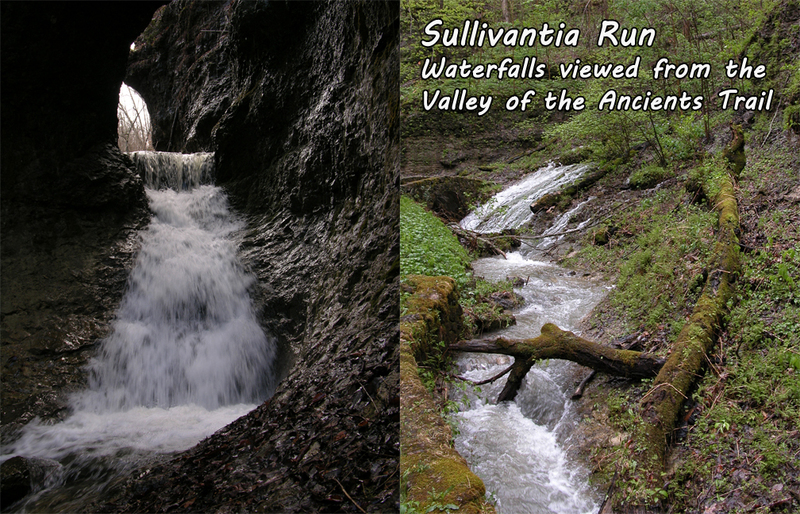 The Highlands Nature Sanctuary is the Arc of Appalachia’s oldest and largest preserve. 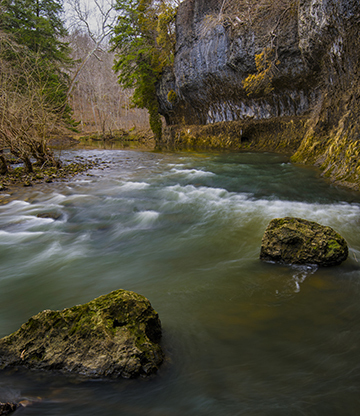 The heart of the 2,600-acre preserve is the breathtakingly beautiful Rocky Fork Gorge, a 100-foot high steep-walled canyon renowned for its stunning rock formations, ancient white cedars, spectacular wildflower displays, grottoes, springs, and stone arches. The Appalachian Forest Museum. Open free to the public, 7 days a week, from April through October, the Appalachian Forest Museum features large artistic murals depicting the world significance of our backyard forests for those of us living anywhere in the Eastern third of the United States. 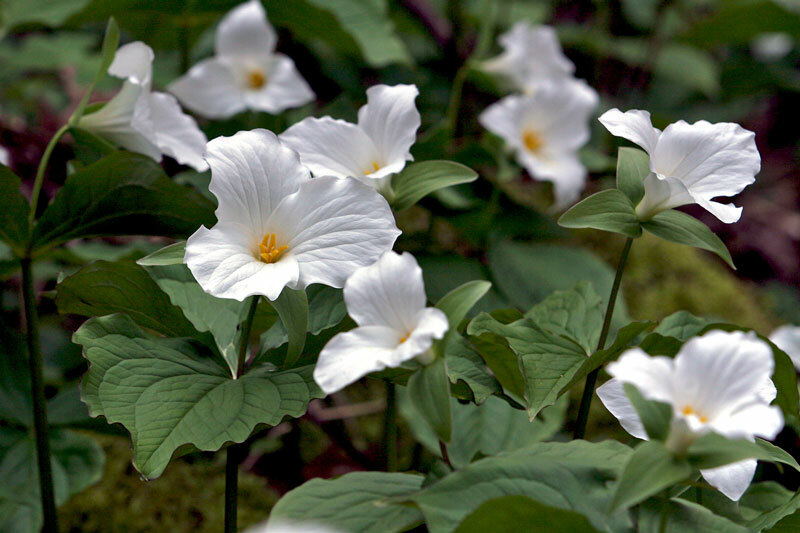 The Museum strives to raise our appreciation for America’s Great Eastern Forest and the many ways our “home-sweet-biome” influences and inspires our lives. Scenic Hiking Trails. 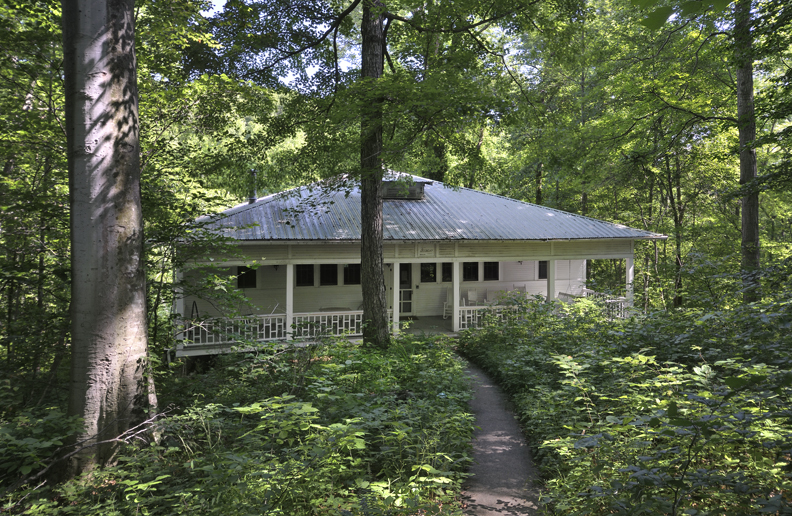 The Appalachian Forest Museum serves as the trailhead for two beautiful loop trails, also open free of charge to the public every day from April through October. 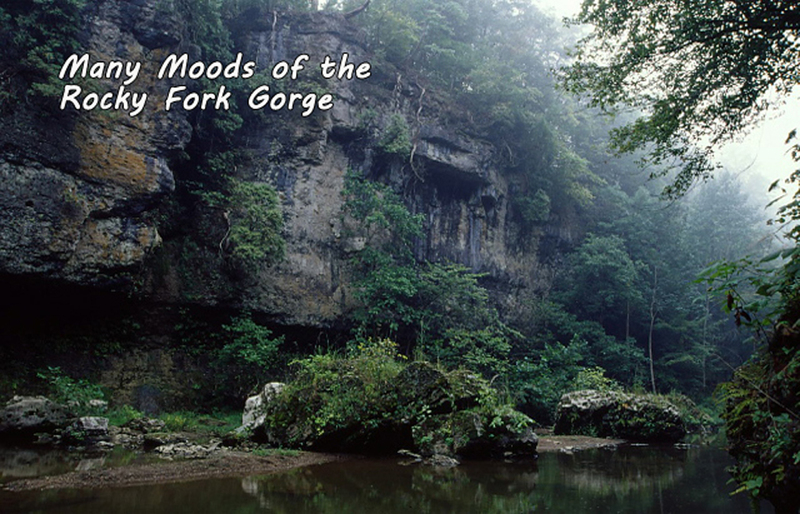 Both of the trails wind into the Rocky Fork Gorge, offering splendid views of the geological scenery of the region. 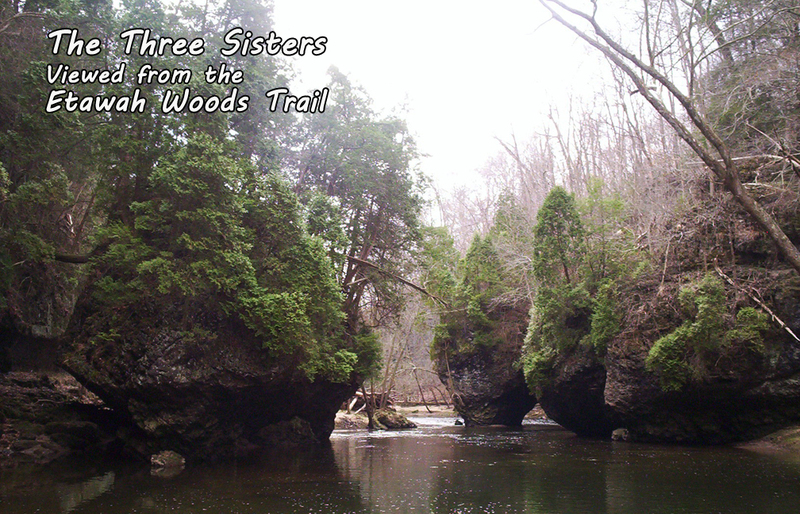 Visitors can gain access to all of the Sanctuary’s 16 miles of hiking trails by obtaining a ONE DAY hiking pass at the Appalachian Forest Museum or becoming an Arc of Appalachia member. Click here for a Sanctuary Map. Sanctuary’s Overnight Lodges. 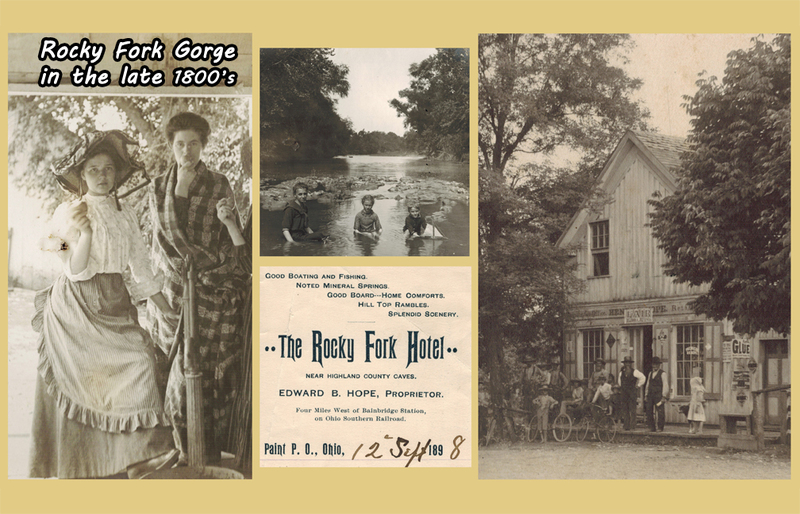 Visitors to the Sanctuary may enjoy staying in a number of historic cabins and older homes that have been fully renovated into modern nature retreats, ranging from secluded 2-person suites perched on the bluff of the gorge that offer dizzying views, to five-bedroom historic lodges that handsomely accommodate small groups and educational gatherings . Once 7 Caves. 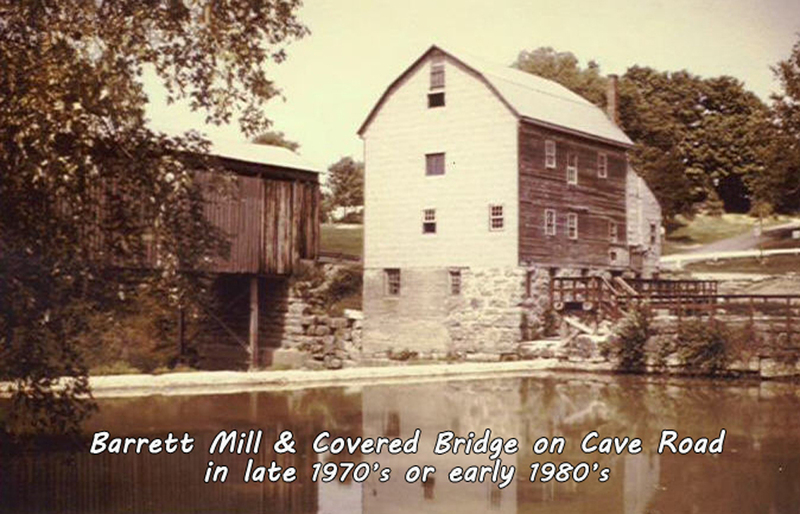 Sixty acres of the 2600 acre Highlands Nature Sanctuary was once home to the 20th century nature and children’s theme park known as 7 Caves. 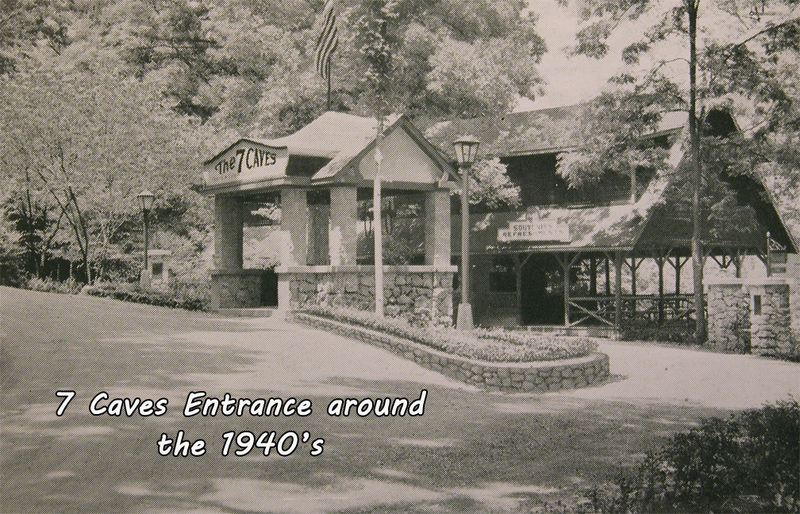 Opening in 1930, 7 Caves was a beloved family destination for generations, reaching the peak of its popularity in the 1960’s and 1970’s, the same era that America was infatuated with family camping vacations. After the 70’s, attendance began a steep decline alongside children’s theme parks across America, reflecting a shift in our culture’s vacation preferences. 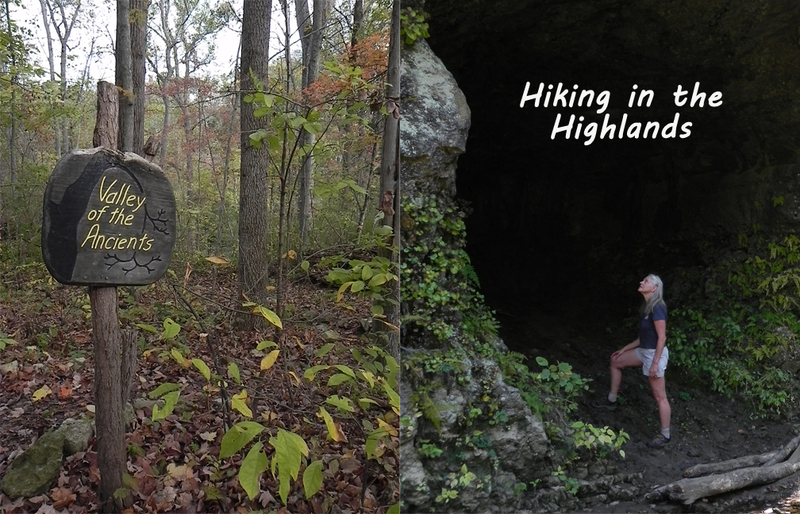 The Arc of Appalachia purchased the 7 Caves land and buildings from its owners when the business was closed in 2005, at which time the land became part of the Highlands Nature Sanctuary. 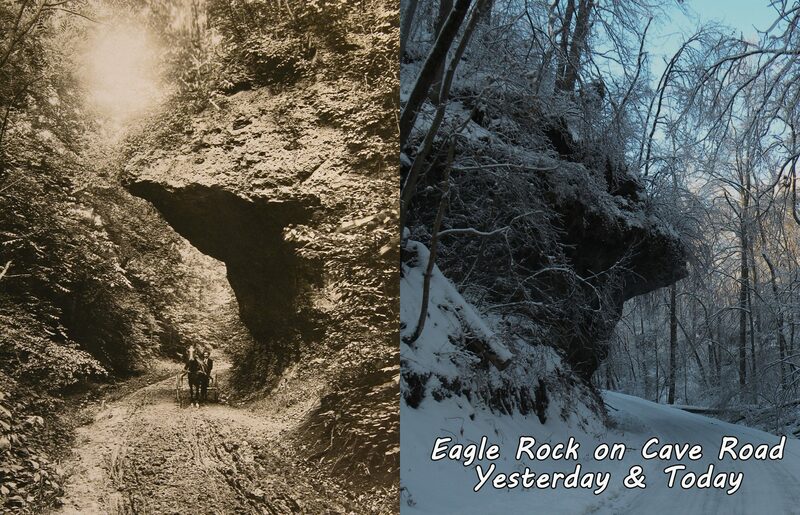 Some of 7 Cave’s historic trails, with their beautiful rock work and stunning geologic vistas, still serve visitors today at the Sanctuary, along with 15 miles of additional trails. The old 7 Caves gift shop has been transformed into what is known today as the Appalachian Forest Museum. Seven of larger caves that were illuminated for decades with 1930-era push-button lights are now returned to darkness. Although small by world standards, the caves are on the mend as natural communities; so much so that today the caves give refuge to four species of bats, three of them imperiled and one federally endangered. 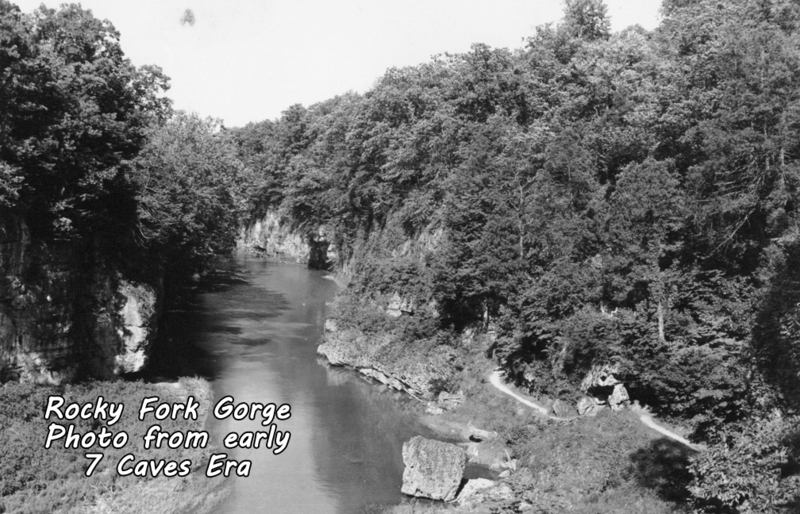 Although most of the caves are closed to visitors to minimize disruption to the caves’ ecosystems, the gorgeous cliffs and rock formations of the Rocky Fork Gorge which made 7 Caves such a memorable destination remain open to the public, now without charge. 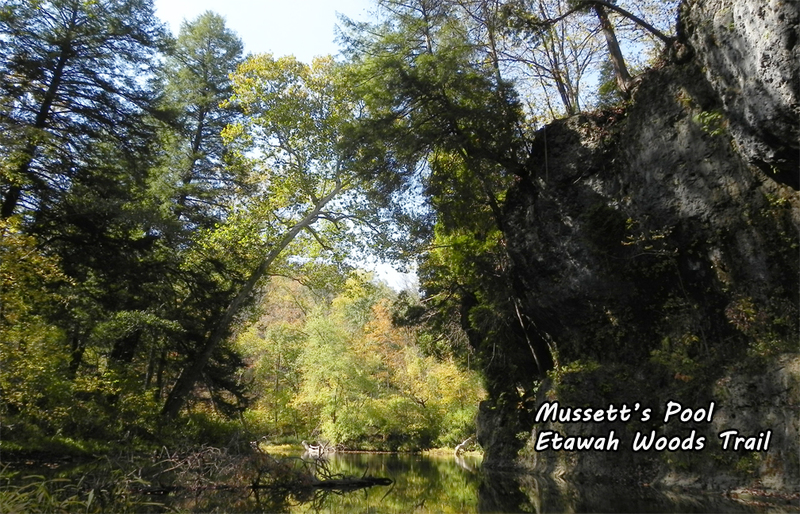 One of the original seven caves, known as Marble Cave, can still be viewed on the Valley of the Ancients Trail which begins at the Appalachian Forest Museum.